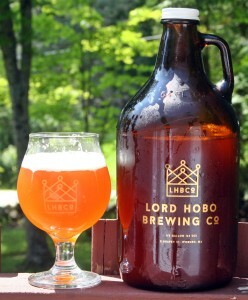 The fourth consecutive beer from Lord Hobo Brewing in Woburn MA. Boom Sauce is interesting in part because it is a blended IPA. Many breweries blend barrel aged beers but Boom Sauce is the only IPA I know of that is blended. This beer is a mix of the previous three beers reviewed from Lord Hobo. 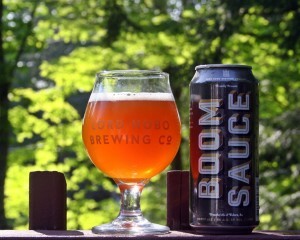 As I noted in the first Lord Hobo release the brewer stated that the first release of Boom Sauce is not where he wanted it to be so I may need to revisit this beer as they recently released the third batch of Boom Sauce. This beer is very nice to look at; very deep orange with a thin white head. Aroma is light and leans more towards the sweet malts than the hops which is surprising for an 8% ABV DIPA. Taste seemed confused with lots going on; sweet, bitter, syrupy with some juicy hops but certainly not what I was hoping. Overall Boom Sauce is better than three beers that went into it but it also has a lot of room for improvement. More to come on this beer so be sure to check back for updated reviews as the brewers continue to develop the recipes and blending. Interesting that the bitterness of these beers seems to be what I remember more than the hops. It also seems to be switching back and forth from the start to the finish. Ball & Biscuit is another nice looking beer with a deep copper color and nice white cap. Aroma had a little more hop that the first two but still relatively mild. Taste was actually a little less pleasant the first two with a very sweet start and a big bitter finish that lingered for a long time. Carbonation was a bit higher than the first two beers. Possibly my least favorite of the four beer released. Second Beer from Lord Hobo Brewing and first of three canned offerings available at their opening. Appearance is similar to Consolation Prize with a nice deep orange and bright white head. Aroma was mostly floral and rather light. Slightly bitter start, followed by a rather sweet and mildly hoppy finish. Carbonation was light which I don’t mind but the taste lingered a bit too long. The second beer that was OK but again things may have changed since the initial release so give it a shot if you happen to be in Mass. 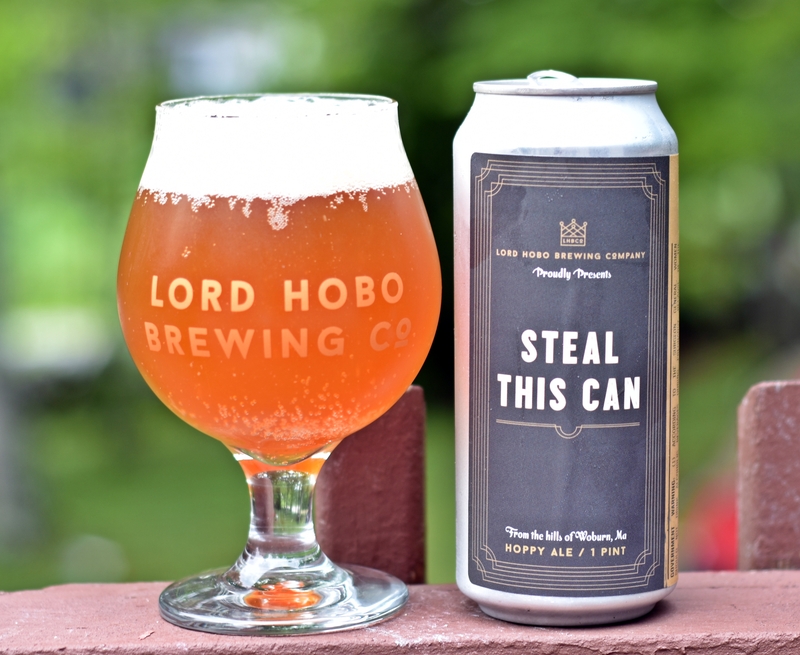 The next 4 reviews all come from Lord Hobo Brewing and all are the initial releases of the beers as I was there on opening day to grab a growler of this one and cans of the three other offerings. My understanding is things have changed a bit since the initial releases so I will have to go back in and try these again. In fact in this recent story from The Boston Globe the owner of Lord Hobo claimed the beer was only at 65% of where he wants it to be. 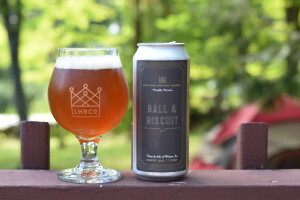 Consolation Prize has the highest ABV of the four beers initially released by Lord Hobo and was the only one not available in cans. The description (see below) says that it is big juicy hops and with an ABV in excess of 9% I was hoping for great things. What I got was a very nice looking beer with minimal aroma compared to other DIPAs. Taste was also a bit of let down with quite a bit of caramel sweetness and a big bitter finish. Some noticeable alcohol in the aroma and taste as it warmed. Overall not a bad beer but seems like there is room for improvement. Hoping to get down to Woburn again soon to give it another shot. © 2019 Insurance Guy Beer Blog. All Rights Reserved.